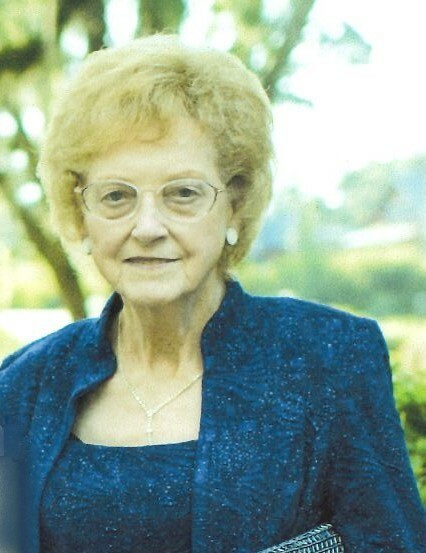 Barbara Anne Stone Ennis, 85, of Smiths Station, AL, passed away Monday, September 10, 2018 at her home. Funeral services will be held at 11:00 am EDT, on Friday, September 14, 2018 at Philadelphia Baptist Church, with Rev. Eugene Ennis officiating. A private interment will follow the service at Philadelphia Baptist Church Cemetery. The family will receive friends Friday morning from 10:00 until 11:00 am EDT at the church, one hour prior to the service. Mrs. Ennis was born on July 29, 1933, in Smiths Station, AL, daughter of the late William Henry Stone and Dora Belle Thomas Stone. She retired with over 30 years of service from Civil Service, where she was a Budget Analysis at Ft. Benning. Mrs. Ennis was a lifelong member of Philadelphia Baptist Church and played the piano there for many years. She was always willing to help others in need and was a caregiver to many. Other than her parents she is preceded in death by three brothers, William Earl Stone, Thomas Melton Stone and George Lamar Stone. She is survived by her loving husband of 60 years Harry Bernie Ennis of Smiths Station, AL; three sons, Douglas Harry Ennis and wife Nancy of Huntsville, AL, David Henry Ennis and wife Judy of Smiths Station, AL and Mark Stone Ennis and wife Robin of Opelika, AL; grandchildren, Cydney Ennis Gehring and husband Curran, Courtney E. Ennis, Eric J. Ennis, Jack McCown, Catherine McCown, Jessica Feay and Kaila Tolsma; one great-grandchild, Micah Feay; many other extended family, church family and caring friends. The family would like to thank everyone for their prayers and extend a special thank you to her caregivers over the last year, Johnnie Mae Morgan, Frances Cook, Patricia Johnson and Janice Wimberly.